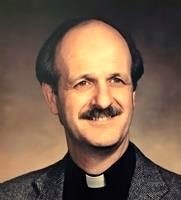 Father P. Martin "Marty" Donnelly, a “founding father” of the Association of US Catholic Priests, passed away January 27, 2019, surrounded by family and friends. He was born August 16, 1838. After studies at Saint Meinrad Seminary College and the Pontifical Gregorian University in Rome, he was ordained in 1964 for the Diocese of Toledo. He earned his Master’s in Education at the University of Notre Dame in 1973. Uebelhor and Donnelly were among the men who met at Mundelein in 2011 to establish the Association of US Catholic Priests. The funeral Mass was scheduled Friday, February 1. See the complete obituary from the Toledo Blade.